It’s no secret that the holiday season is a big time of year for retail companies. And consumers aren’t just dropping a couple dollars here and there, either. eCommerce sales are expected to rise a whopping 14.8% throughout the 2018 holiday season (while brick-and-mortar sales look to increase a mere 2.7%). So, while the coming weeks will definitely provide some major opportunities for your company to make a killing, it’ll certainly take some effort on your end to cut through the noise and stand out from your competition. With that in mind, we’re going to discuss how you can use email, social media, and paid advertising to make the most out of this special time of year. According to data collected by the National Retail Federation, consumers plan to spend an average of $1,007.24 specifically on holiday-focused products in November and December (up from $967.13 in 2017). Compared to the average consumer’s spending habits throughout the rest of the year, this marks an increase of 4.1%. What’s more, more and more consumers are doing their holiday shopping primarily online. On the one hand, it’s become abundantly clear that consumers are prepared to open their wallets and increase their spending habits this holiday season. On the other hand, most retailers – that is, your competitors – know this, too. 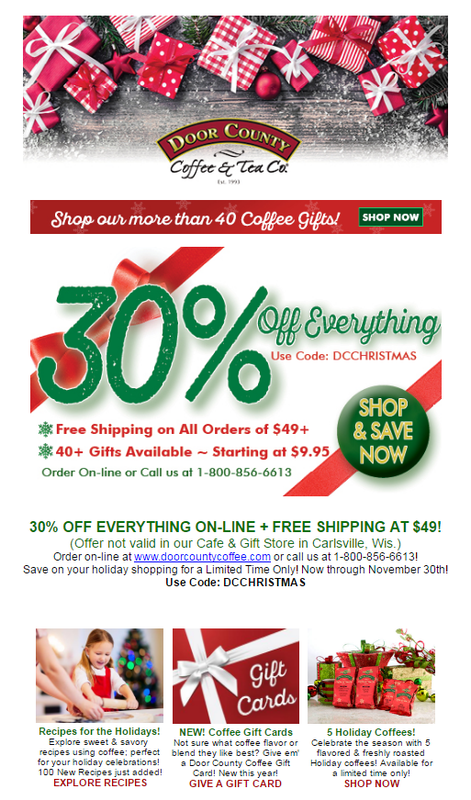 So how can your online business stay top-of-mind this Holiday Season? Using a strategy that puts together email marketing, paid ads and social media. If you’re looking to spur sales throughout the holiday season, you absolutely need to be focusing on your email marketing initiatives. According to Custora, 20% of sales throughout the 2015 holiday season could be traced back to email marketing campaigns – with one in four Black Friday sales being attributed to this channel. Not only that, but email is the most effective marketing channel in general, boasting three times the conversion rate of social media marketing efforts, as well as a 17% higher average order value. Moreover, consumers typically expect to receive promotional emails from their favorite brands during the holiday season – especially during peak times like Black Friday and Cyber Monday. If you’re not ramping up your email marketing initiatives during the holiday season, you’re almost certainly missing out on some major opportunities. What do you need to do to be successful, here? 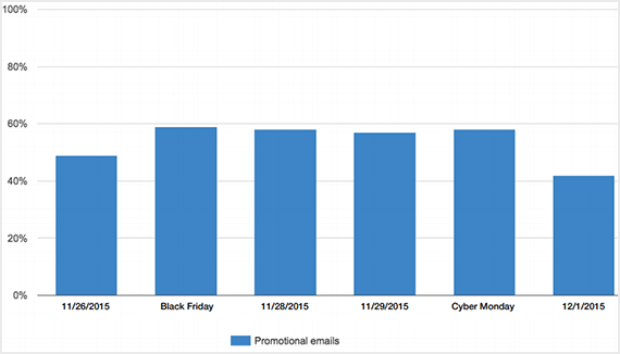 Most brands send out a ton of emails – promotional or otherwise – throughout the holiday season. Above all else, this means your recipients’ inboxes are going to be chock-full of branded emails throughout the months of October, November, and December. You’re going to be facing an uphill battle in trying to cut through all the noise and, to be honest, you’re not going to win if your plan is to send out promotional emails only on key days such as Black Friday and Cyber Monday. Rather, you need to prepare your audience for the promotional emails to come ahead of time. Note in the above example that Clarks not only provides a countdown to its sales week, but also allows recipients to easily add the scheduled time to their calendar as well. 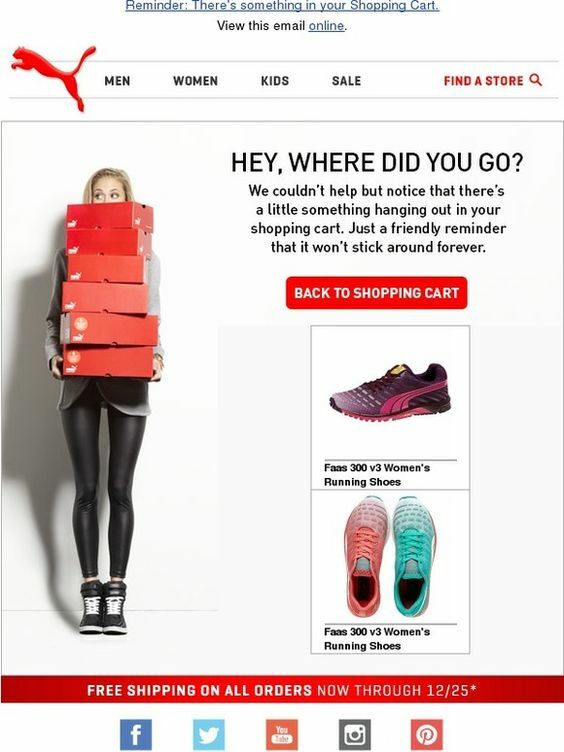 That way, even if recipients do overlook any follow-up emails from Clarks, they’ll still get a quick reminder to check out the brand’s site when the right time comes. As is always true in marketing, relevant messaging is essential when sending out emails during the holiday season. On average, relevant email content generates an incredible eighteen times more sales than generic content. Again taking into consideration the typical increase in consumer-related activity during the holiday season, this 1800% increase makes an even more drastic difference. You definitely don’t want to send out the exact same promotional emails to everyone on your mailing list. Rather, you’ll want to create laser-focused customer segments, and develop email content specifically tailored to each of their expectations. Now, if you’ve already created different segments for your mailing list, great! You definitely want to take into consideration factors such as your customers’ demographics, geographics, browsing history, and purchasing habits. But, you also need to keep in mind that many of your customers will be shopping for someone else during this time of year. In other words, much of what you already know about them might not be all that relevant (that is, unless you have information on them from previous holiday seasons). If a recipient clicks on the “For Him” image, this will tell Birchbox that the individual in question is searching for a gift box tailored to men. In turn, the brand can then follow up with similar offers in subsequent emails throughout the season. Now, while your customers might purchase items that are a bit out of their normal wheelhouse during this time of year, they’ll probably stay pretty close to their typical spending habits even when buying gifts for others. Big spenders will likely be happy to purchase big-ticket items for their friends and family members, and low-AOV customers will probably need to stay within their budget. That said, you’ll want to create and deliver offers to each segment as appropriate. For example, you might promote high-end items of all kinds to your bigger spenders, while promoting your best deals and sales to your low-AOV customers. Before we move on, it’s worth mentioning that you’ll want to revisit these segments after the holiday season comes to a close. That is, you’ll want to go back to sending promotional emails that are relevant to your actual customers – not to their friends and family members. In continuing our discussion on highly-tailored email content, you also want to automate the delivery of certain emails based on the behavior of your individual customers. Even if this is common practice for your brand throughout the rest of the year, you’ll want to switch things up a bit during the holiday season. Reason being, most consumers don’t just change their buying habits during the holiday season – many of their other consumer-related habits fluctuate during this time, as well. As alluded to above, when new customers register for your mailing list, you’ll want to quickly determine who they’re shopping for. Perhaps most importantly, if an individual abandons their shopping cart, you want to do everything you can to get them back on track as quickly as possible. While typically you’ll want to send one rather casual abandoned cart reminder email, you don’t want to beat around the bush during the holidays. Instead, you should immediately hit your abandoners with incentives to come back, such as free shipping, discounts, or other freebies. You don’t have much time to waste during this time of the year. When your customer takes action, you need to be right there with a follow-up offer to keep them engaged and moving in the right direction. Note: Make sure you keep track of those who have taken advantage of your cart abandonment incentive. One per customer, always. So far, we’ve talked about the more granular aspects of email marketing during the holiday season. But, of course, we’d be remiss if we didn’t mention the options at your disposal when creating more overarching email campaigns during this time. Again, though the holiday season seems to fly by in an instant, there’s a lot you can do with your email marketing initiatives in that short span of time. Be sure to make the most of it. Now that you have your email marketing strategy on point, you should start to plan your paid advertising strategy. Case in point, the study from Custora we mentioned earlier found that paid search directly contributed to 17.7% of online sales during the 2015 holiday season. As far as paid ads’ indirect contribution to holiday sales, 33% of holiday shoppers told WordStream that such content positively influenced their purchasing decision in 2017. Finally, MarketingLand discovered the click-through rate of Facebook ads saw a 42% year-over-year increase from 2015 to 2016. Using paid ads during the holiday season also allows you to generate immediate visibility among prospective customers. As opposed to focusing on organic methods (which take time to become effective) or email/social media marketing (which require initial action on the part of your customer), you can use paid ads to reach those who are only slightly familiar with your brand – if they’re familiar at all. Now, it’s definitely worth mentioning that running paid ads on Google and various social media platforms isn’t exactly cheap. However, as we’ll discuss throughout this section, there are definitely ways to utilize this option efficiently and effectively without breaking the bank. Let me show you my favorites. First and foremost, you want to be absolutely sure that you’re advertising on the right channel. Needless to say, you don’t want to advertise on a specific platform without having a clear idea of whether or not you’ll actually reach anybody. And, even if your potential audience on a given platform is rather large, this doesn’t necessarily mean you should over-extend your budget to reach them, either. Your best bet is to focus on what’s proven to be effective for you throughout the rest of the year, and leave the experimenting for a time when the stakes aren’t so high. As with email, it’s essential that your holiday-related ads are highly relevant to specific individuals, and that you present them at just the right moment as well. Again, you’ll likely want to start rather broadly, creating ads targeted to individuals from specific demographics and geographic locations. As we’ll discuss in a moment, you can then create dynamic ads that include, for example, delivery information regarding a given consumer’s current location. However, it’s also important to create custom audiences as well. This will allow you to present ads to specific individuals based on their previous interactions with your brand. Additionally, you’ll want to use your PPC campaigns to spread brand awareness to lookalike audiences – that is, individuals you haven’t engaged with yet, but who resemble your current audience in one way or another. Finally, you’ll want to use these platforms to specifically target holiday shoppers. As with lookalike audiences, these are individuals who haven’t exactly engaged with your brand per se, but have been found to increase their consumer-related activities during the holiday season. Once you know who you’re looking to target with your online ads, your next step is to create ads that will capture their attention and get them to engage further with your brand. You have a ton of options at your disposal, here. For those who have browsed your site in the recent past, you can create dynamic ads that showcase the products they had been looking at. With these ads, you can target individuals who may have made a recent purchase, presenting them with a variety of related items within your ad. If you can get your message to the right person at exactly the right time, you should easily be able to cut through the noise your competitors are making. 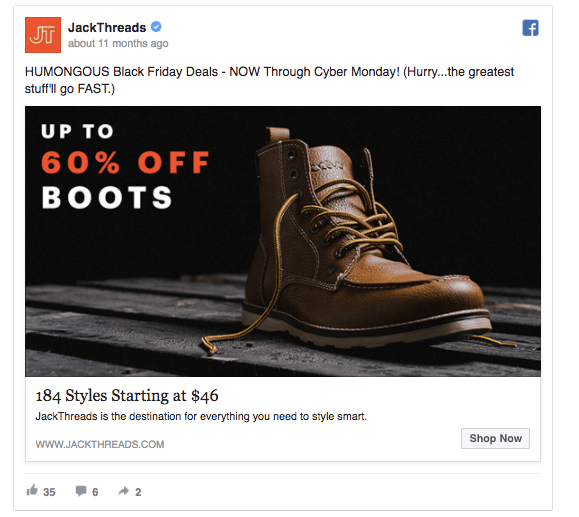 For more examples of holiday-themed Facebook Ads, check out our incredible webinar (and blog post): 10 Facebook Ads Strategies To Maximize Your Holiday Advertising. As we said earlier, you’re almost certainly going to be increasing your ad spend over the holiday season. But this doesn’t mean you should simply throw money at your ad campaigns now and worry about the costs later. Rather, you’re going to want to be ultra-vigilant on your Ad spend during this hectic time of year. Basically, you should be checking in with the performance of your ads, as well as your ad spend, on a daily basis – and making daily adjustments, as well. Your best bet? Maximize your investment in the ads that are doing well, and scale back immediately on the ones that aren’t. Earlier in the season, it’s worth split-testing your low-performing ads to improve them for the season to come. As the end of the season draws nearer, though, you might want to ditch the poorest performers altogether. While not a hard-and-fast rule, you’ll typically want to continue increasing your ad spend for your highest-performing ads as the season moves forward. You’ll then want to go back to your average ad budget once the delivery cut-off date rolls around; there’s no sense in spending money on ads that aren’t relevant, right? However, after Christmas has come and gone, you’ll want to ramp your ad spend back up for the week leading up to New Year’s – allowing your brand to gain some visibility once the dust has settled a bit. For more on how to successfully approach your PPC campaigns throughout the holiday season, check out AdEspresso’s in-depth guide here. So far in this article, we’ve focused specifically on how to spur sales during the holiday season. But the holidays are also a great time to build awareness of your company and to get your followers engaged with your brand on an entirely different level, as well. This is where your organic social media campaigns come into play. In this section, we’ll provide a number of suggestions for your holiday-themed campaigns, together with examples from brands that continually kill it during the holiday season. Obviously, you’ll want to create content that in some way relates to the holidays. 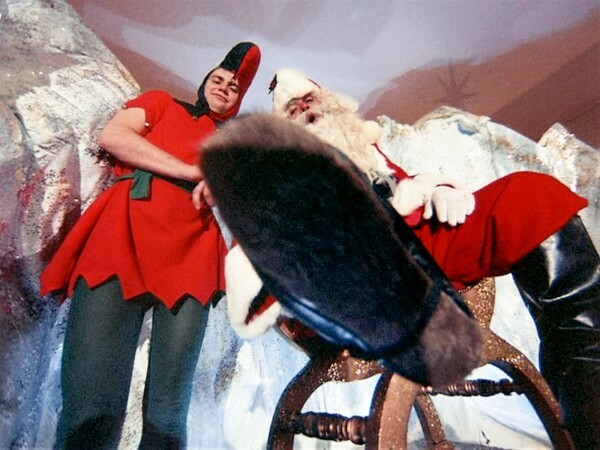 But this goes beyond simply “winterizing” your content, or including references to Santa, snowmen, and elves. To be sure, your audience probably expects this kind of thing – so it’s not really going to stand out all that much. So, rather than simply making surface-level changes to your content, go deeper by creating dedicated campaigns focused on certain holiday themes. While decorating your social media pages can certainly add to the holiday atmosphere, your goal should be to create content that adds to your customers’ overall holiday experience. Get creative. Have fun. But most of all, provide value to your audience. To be sure, you should always have some sort of branded hashtag for your content at any time of the year. During the holiday season, though, you’ll definitely want to use this strategy to keep your campaign tightly-knit. That way, you can label specific content as part of your holiday campaign – and continue to create and post other content, as well. Another clever use of hashtags during the holidays is Barnes & Noble’s #BNGiftTip campaign. Though Custora research surprisingly affirms that social media isn’t nearly as effective at directly influencing sales as some other means, we’re going to say this campaign was an exception to the rule. Not only do branded hashtags allow you to categorize your content, but they also open the door for UGC. As Barnes & Noble screenshot above shows, it’s not just companies that use their branded hashtags during the holiday season – their followers use them, as well. And, if you go back a bit further to our example from ASOS, you’ll notice they also solicited UGC in exchange for entrance into their giveaway. The holiday season is a great time of year to get your followers to do your marketing for you. Whether soliciting user-generated content in exchange for giveaways, discounts, or other freebies – or simply opening the door for your customers to create UGC of their own volition – the holiday season is prime time to make it happen. After all: sharing is caring, right? You know how effective influencer marketing can be in spreading brand awareness and generating social proof, right? So, of course, you’ll want to partner up with some well-known entities within and around your industry to create holiday-themed content for their audience to check out. Influencer marketing. It works. Try it. Okay, so we’ve spent a lot of time talking about driving sales, increasing brand awareness, and all that marketing-related stuff. But we definitely can’t overlook what the holidays are really all about: Peace on Earth and goodwill to all. Use this holiday season to do more than just make sales. Spread a message of hope, love, and caring to your social media following. Even better, get them involved, as well. Since 2012, WestJet has used its social media channels to spread the spirit of giving to its audience. Perhaps its most famous initiative was its 12,000 Mini Miracles campaign, in which it challenged its 12,000 employees – as well as its thousands of followers – to commit at least one random act of kindness over a 24-hour time period. The response was nothing short of incredible, with over 31,000 stories, videos, and other such content being submitted by employees and customers alike – with followers continuing to post content well after the 24 hours had passed. To be sure, the campaign definitely led to some major publicity for the airline. But can we at least pretend that the real reason the company put on the initiative was to spread some holiday cheer? As if you didn’t have enough on your plate this holiday season – literally or metaphorically – we had to go and create this massive guide for you to devour. Hopefully, we’ve given you enough to get your holiday campaigns moving in the right direction. While you think you do have a little more time before the season gets here, actually you don’t, it’ll be here before you know it. So, unless you work as fast as Santa, you should probably get moving! Anthony Capetola (AKA Tony) is the Marketing Manager for Sales & Orders, one of the most used Management Software for Google Shopping. He is the mind behind the entirety of paid search and inbound marketing efforts for the company. His latest adventure, though? Being a dad! Very useful content of holiday marketing strategy. It is very helpful to Digital Marketers.